It’s a date that will be forever etched in the minds of all Celtic and Inverness fans. First Division Caley, an embryonic outfit who had only been formed six years previously, travelled to Celtic Park to take on the mighty Glasgow Celtic in a Scottish Cup tie. 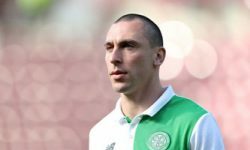 The home side boasted international heavyweights such as Ian Wright, Mark Viduka, Eyal Berkovic and Lubo Moravcik, while the Highlanders had a squad of players who were virtual unknowns outside of their home town. However, the visitors produced a remarkable 3-1 win which has since gone down in Scottish football folklore. The Sun newspaper called it the “biggest humiliation in Celtic’s 112-year history” and went all Mary Poppins with their legendary “Super Caley go ballistic, Celtic are atrocious” headline. Manager John Barnes was sacked two days later. Wright played only one more game for the team before being transferred out of the club. Viduka and a host of others followed him out of the door at the end of the season. Thistle have spent the last 12 years becoming an established SPL outfit and they have the advantage of playing at home this time around – but nevertheless, an away win looks like the most likely outcome on this occasion. On Saturday, almost 12 years to the day since that famous (or infamous, depending on your allegiance) shock, Celtic face Inverness in the Scottish Cup again looking to avoid another upset. Celtic are on a brilliant run that has seen them remain unbeaten in their last 18 domestic matches, winning their last 14 on the bounce. Last Saturday they beat Falkirk 3-1 at Hampden to advance to the League Cup final as they remain on course for a domestic treble. They have also won both meetings with Inverness this season by two goals to nil. It is little wonder, then, that Celtic are priced as low as 2/5 with bwin to win the match on Saturday, while the draw is 333/100. 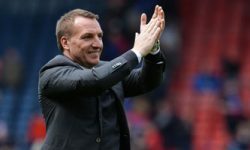 In order to get better odds and maximise your potential profit, it might pay to consider the 2-0 scoreline in both of the last two meetings between the sides and opt for Celtic to win starting from a 1-0 handicap. This outcome is available at 11/10 and new bwin customers who used their free £25 bet for registering to back this result stand to win £52.50 if successful. Inverness, though, are on a pretty decent run themselves and will certainly fancy their chances of adding another chapter to their short but illustrious history book. They are unbeaten in their last seven games and are buoyed by the news that captain Richie Foran penned a new contract earlier in the week. Odds of 13/2 on Inverness to claim the win are sure to tempt a lot of people to take a punt on history repeating itself, while if you fancy Thistle to repeat the 3-1 scoreline of 12 years ago, you will find odds of 80/1 very appealing.